By Todd A. Baughman, Ph.D.
Summary: This presentation will help consultants, growers, and other practitioners in the cotton growing regions of the United States. The discussion will include basic information on weed resistance. This will include what it is, where it is located, and how it develops. 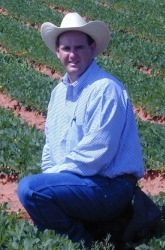 The presentation will also discuss information on ways to manage pigweed in cotton.